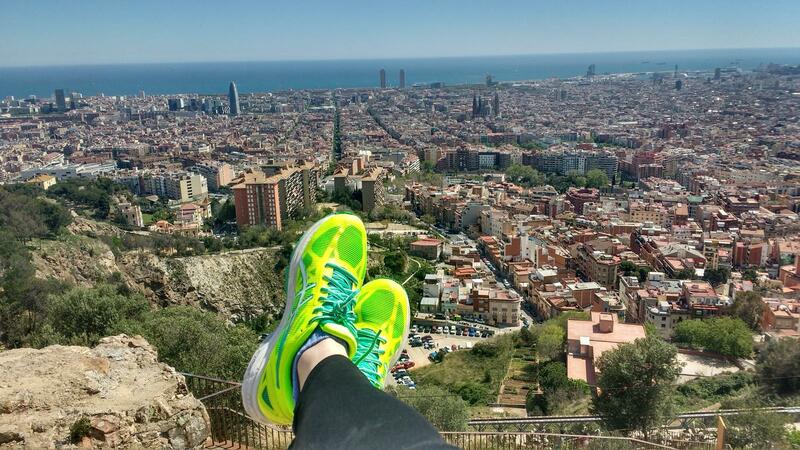 Barcelona is an ideal city for running. In addition to its fantastic climate, it allows you to run in the mountains, on the beach and in incomparable urban environments that you can choose according to your tastes, physical preparation and levels of exigency. 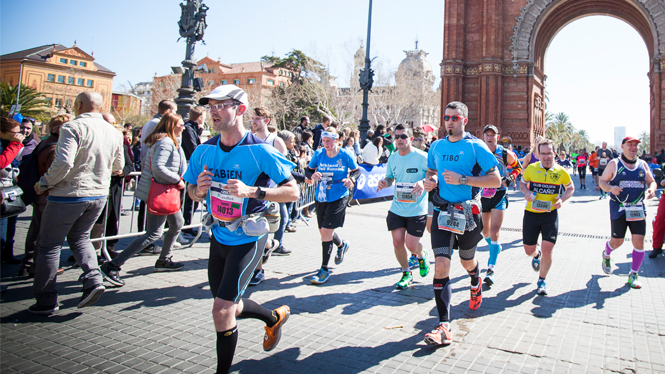 If you need some ideas on where to run in Barcelona, we offer you a guide with the top Barcelona running routes. 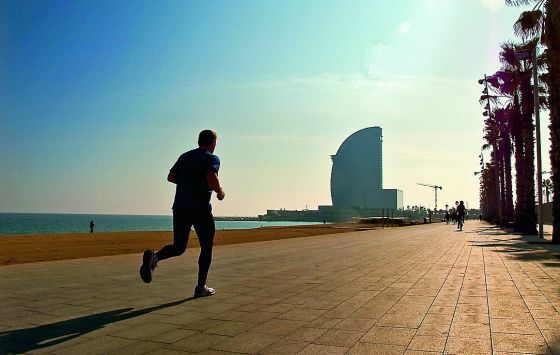 One of the most popular routes for Barcelona’s runners due to the width of the avenue and the opportunity to run with the sea breeze and the Mediterranean as a backdrop. Almost the entire route (about 6 kilometres) is paved, but if you feel like it, you can go into the Barceloneta beach and run along the sand. To avoid crowds and to be able to run more easily during the summer, it is ideal to go early in the morning or late in the afternoon. The large and beautiful park of Montjuïc offers an infinite number of routes with different slopes and ramps that become harder as the route approaches the top of the castle. In addition to enjoying fantastic views of the city, while running through Montjuïc you will find beautiful gardens, Olympic facilities and some of the main cultural centres of Barcelona. 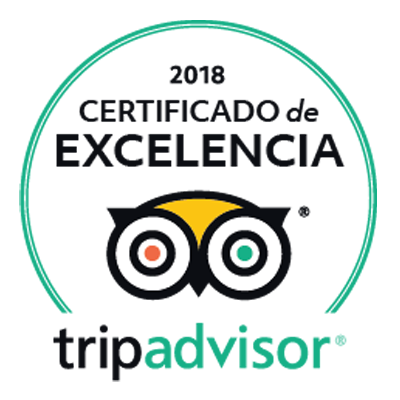 We propose a journey of about two kilometres from the castle (a former military fortress located on the top of the mountain), through the Olympic Stadium to the Museu Nacional d’Art de Catalunya (MNAC) . At nightfall you can enjoy the show of lights, music and water offered by the Magic Fountain. You can get to Montjuïc by public transport (metro of Plaza Espanya or Paral-lel Avenue) and by funicular railway. Located in the heart of Barcelona, running in the Parc de la Ciutadella is a real pleasure for the senses. Although it may be overcrowded at certain times (especially when the good weather arrives and on weekends), its beautiful lake, century-old trees, gardens, sculptures and monumental waterfall make this authentic open-air museum worth a visit. A route along Carretera de les Aigües is a true pleasure for any runner, as it allows you to run through nature without leaving the city of Barcelona. 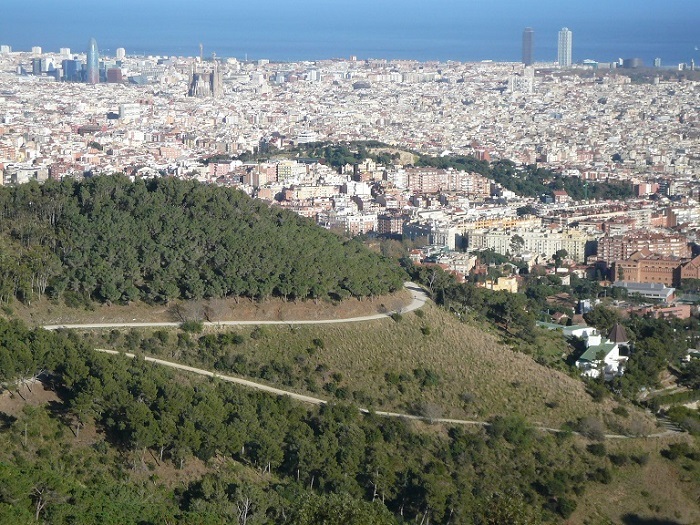 Despite the fact that it is a route of about 10 kilometres along the mountain of Collserola (very close to the Tibidabo Park), the road is almost always flat and faces the seaside, offering incredible views of Barcelona. 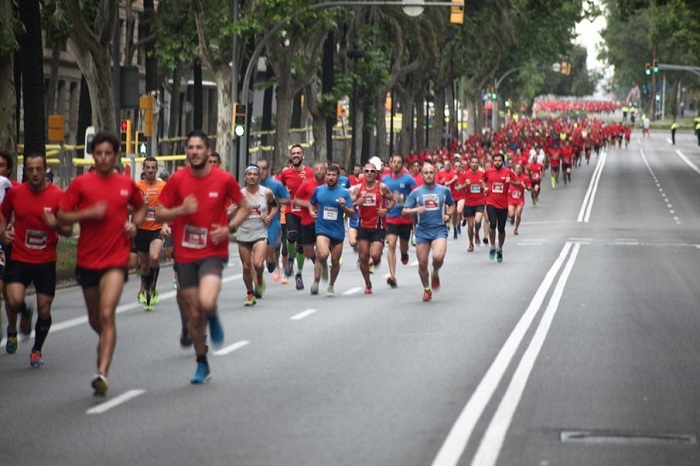 If you prefer the asphalt and bustle of urban environments, running along Avenida Diagonal is your best option. 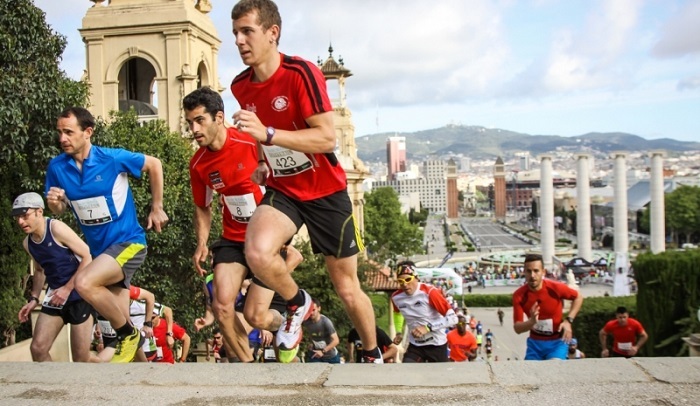 Its nearly 11 kilometre-long route that crosses the whole Barcelona from the mountain to the sea, so that you can get to know the city as you run along the wide sidewalks of one of the most famous streets in Barcelona. We recommend you a 5-kilometre route between Plaça Francesc Macià and Plaça de Glòries, two of the most important points of the Catalan town. 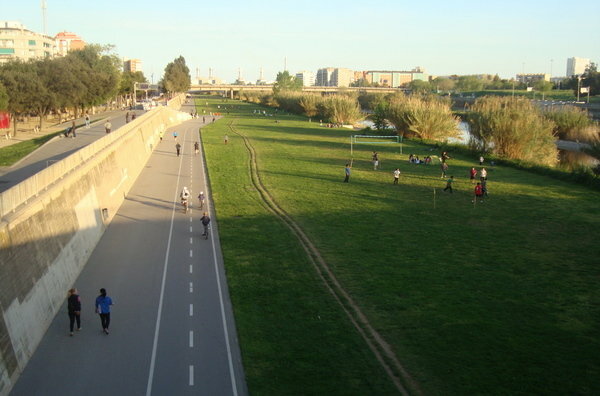 Its 115 hectares, free of traffic and prepared for runners and cyclists, allow you to run on asphalt, grass and dirt. In addition, the kilometres are marked along the route and, if you are thirsty during your training, you can walk up one of the small ramps and drink in one of the surrounding parks. 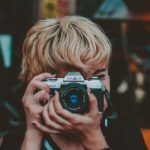 In addition to these, there are other excellent running spots in Barcelona such as Park Güell, Can Dragó or Joan Miró Park. 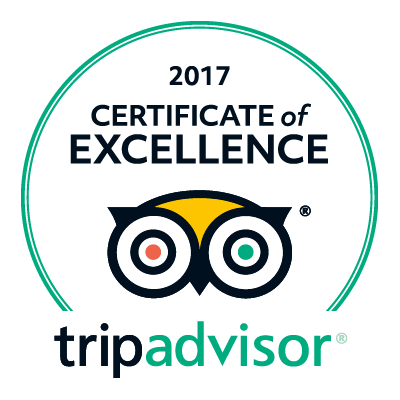 If you want to make the most of your time and start running from our hotel, you can take a stroll through the charming and labyrinthine streets of the Gothic Quarter while getting immersed in the culture, tradition and magic of Barcelona’s historic centre (you may have to dodge more than one passer-by, however ;)). 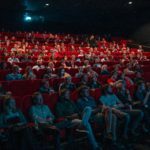 Don’t hesitate to ask our staff if you need more information!